Both of Chaney’s parents were deaf, and as a child of deaf adults Chaney became skilled in pantomime. “Tonight I start out for the High Sierra. No shaving, no makeup, no interviews for four long, lazy weeks. We take a stove along and the wife cooks the fish I catch. We sleep under the pines and I try to climb high enough to reach the snows. Camping’s the biggest kick in life for me,” Chaney told a writer in 1928. 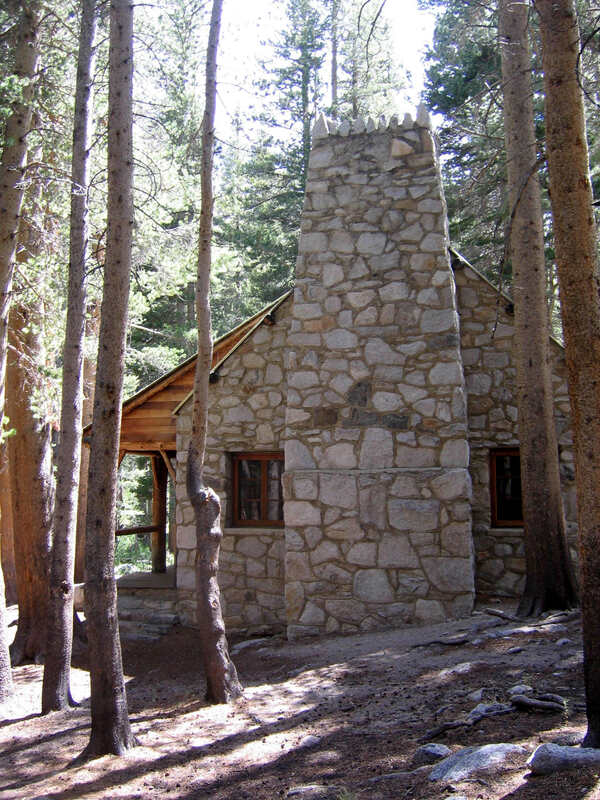 The Forest Service considered destroying the cabin to comply with the 1964 Wilderness Act, which calls for the restoration of natural conditions in wilderness areas. But the agency changed its mind when it became clear that the amount of dynamite required to demolish the massive stone structure would cause major damage to the surrounding trees.